Gwadar Royal Garden Housing Scheme has 2 phases. The first phase of Gwadar Royal Garden is located in Mouza Shabi which is planned over 125 Acres of Land. GDA has canceled the NOC of its Phase 1, however its phase 2 is legal, and GDA has approved its NOC. Recent advertisements of Gwadar Royal Garden display the NOC # 45/06/HS/GDA(B) which is issued by GDA for its Phase 2 which is planned over 875 Acres of Land in Mouza Shabi, Gwadar. As you can see in the map attached above, the society has its one end towards the sea. 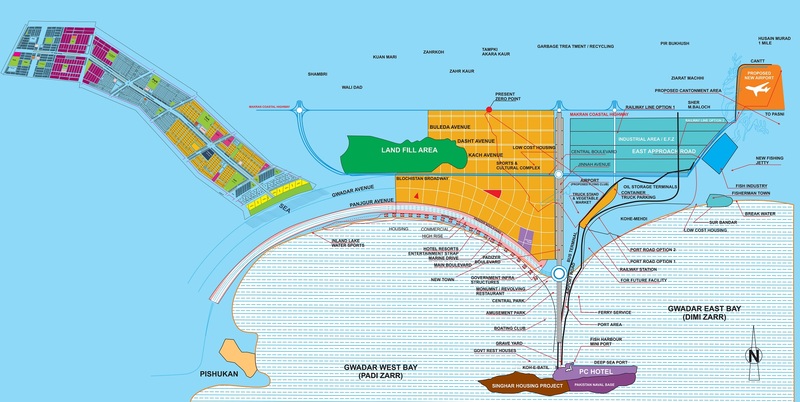 Hence, it becomes one of the few housing schemes which has open access to Gwadar Beach. You can enjoy the scenic views of the sea as well as enjoy the luxurious lifestyle in the modern housing development of Gwadar Royal Garden. The society stretches over three main roads of Gwadar including Marine Drive Road, Padi Zer Road and Gwadar Main Boulevard. A 130 feet wide roads passes through the society while connecting roads lead to all blocks. 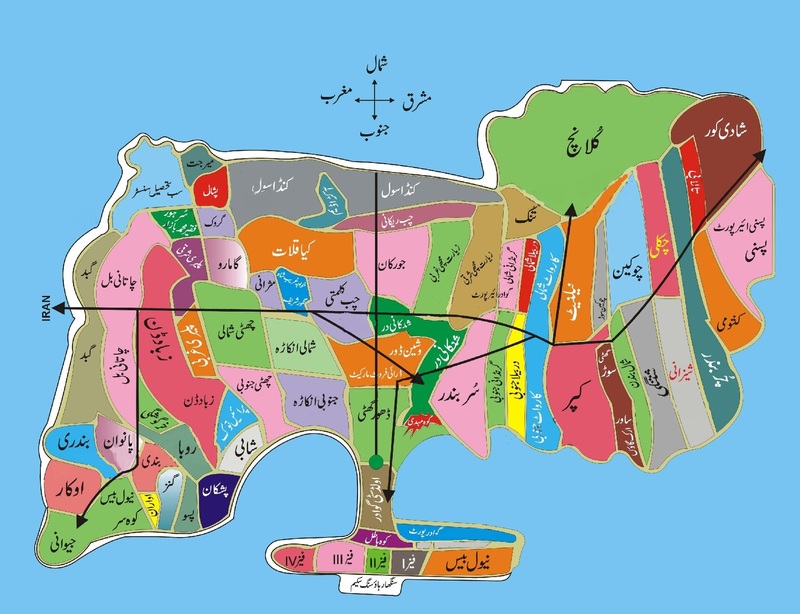 There is no information available as to the current development status of this project, however layout map has been released which shows different sizes of residential and commercial plots at various location as well as various plots reserved for resorts on the sea shore. The society offers both residential and commercial plots facing towards the sea as well as towards land. Since the project has its NOC cleared already, you can check current development status of the project and make a good investment decision in Gwadar for manifold return in coming years. Gwadar Royal Garden offers various sizes of residential plots i.e. 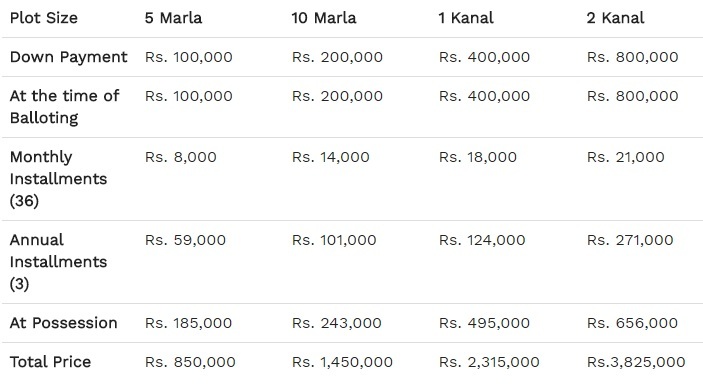 5 marla, 10 marla, 1 kanal and 2 kanal on 3 years installments plan. As you can see in the payment schedule given above, bookings start with about 15% down payment and remaining amount is payable in 36 monthly and 3 annual installments. The society currently offers just 5 marla commercial plots on 3 years installment plan. Current prices are quite reasonable and expected to grow positively over time.